On Tuesday, September 6, 2011, What Cheer Lodge no. 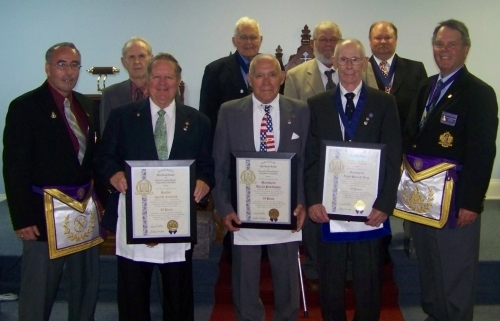 689, Free and Accepted Masons, located in Norwood, N.Y., had their annual awards presentations. top row..James Clough (45 years), Marshall Smith (20 years), James Bishop (40 years), W.M. Frank Colbert.